The Bob Warnicke Scholarship Race, benefiting the Bob Warnicke Scholarship Program will be ran on Oct 20th. Race for FREE on Olympic Day at Winchester BMX Jun 28th, 2018! Come Celebrate Olympic Day with us at Winchester BMX! Date: Jun 28th, 2018 Sign Ups / Practice: 6:00PM - 7:00PM Racing: 7:00PM Entry Fee: FREE Anyone can race for FREE, so bring out your friends and family! 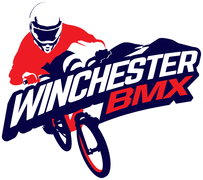 Join us on Race For Life Double at Winchester BMX Aug 25th, 2018! Come to Celebrate Race For Life Double with us at Winchester BMX! Date: Aug 25th, 2018 Sign Ups / Practice: 11:00AM - 1:00PM Racing: ASAP FREE one-day membership available (​bring a parent or legal guardian to sign the required waiver). Opening Day Race 2018! Registration 6-7pm Race starts around 7:15pm Riders $10, Balance bikes $5 BMX Skills clinic prior to the race. 4:30-5:30pm. $10 per rider. Don't forget to come hungry, the concession stand will be serving food all evening! For family and friends, spectating is always free! See you there! 3 new dates have been added to the New Riders Clinic. May 4, 11, & 18. 5-6pm. $10 per rider, each session. No RSVP required. sorry folks, race and clinic canceled for today, Saturday 4-22. Stay tuned for rescheduled dates. Schedule this week, 4/10 - 4/16 4/11 - Gate practice, 6-8pm, $5. 4/13 - New Riders Clinic, 5-6pm, $10. (No rsvp needed). Gate practice, 6-8pm, $5. 4/15 - single point race. Reg 6-7pm, race asap. $10 / rider, $5 / balance bike. Thanks again to everyone that made our opening day such a success!